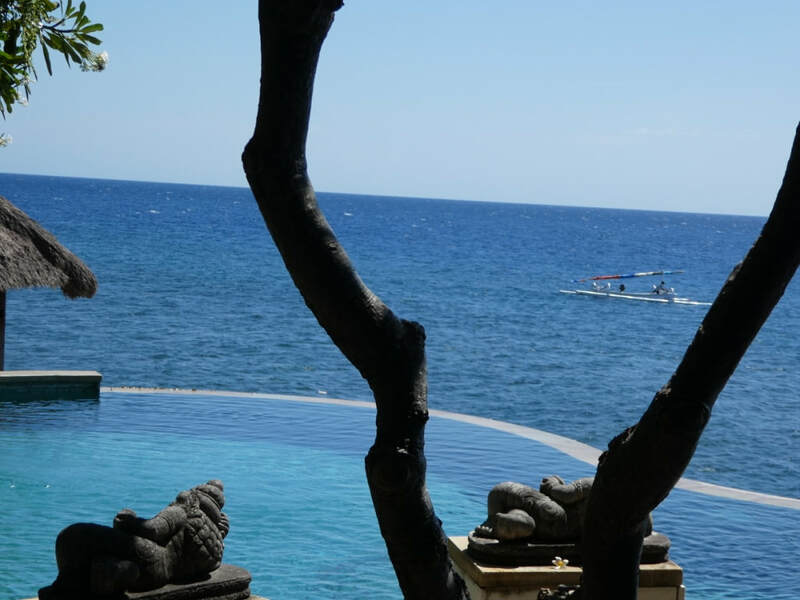 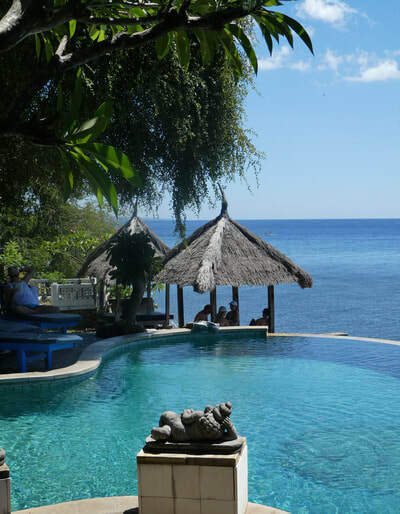 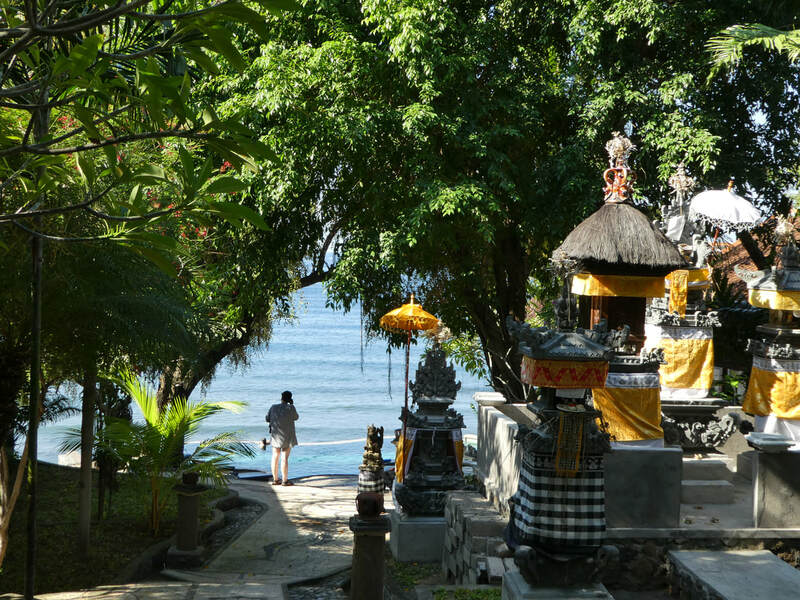 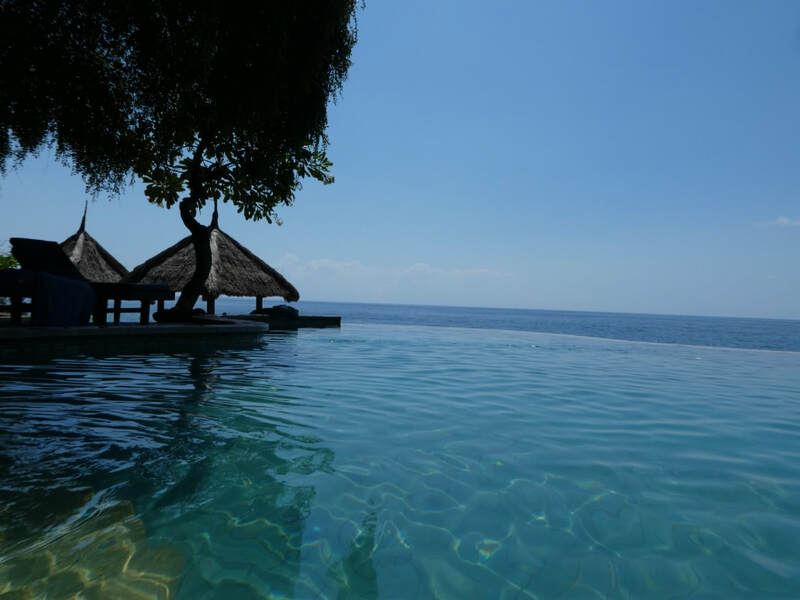 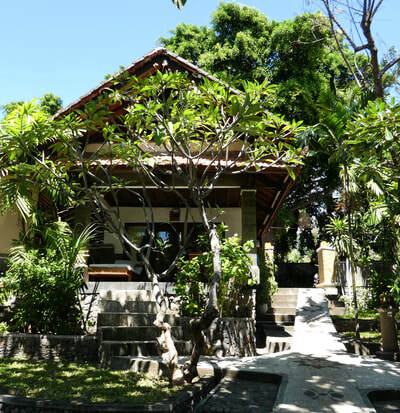 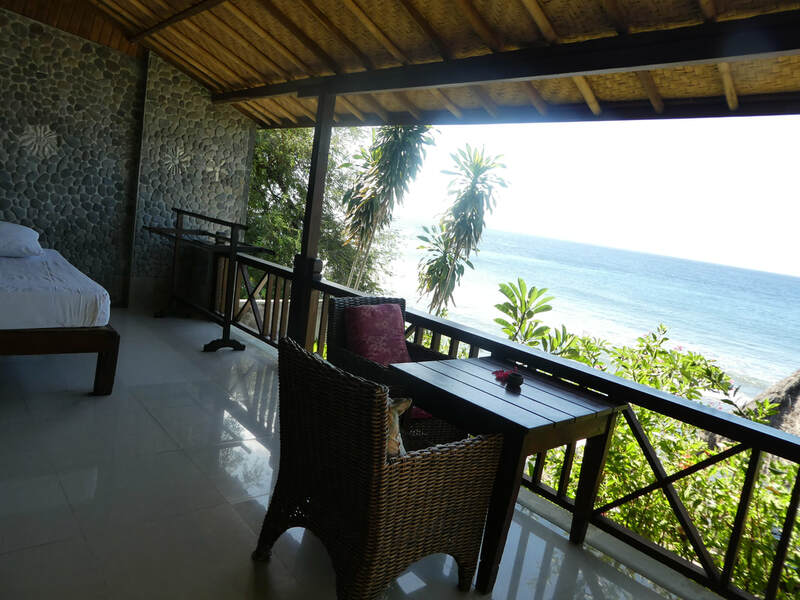 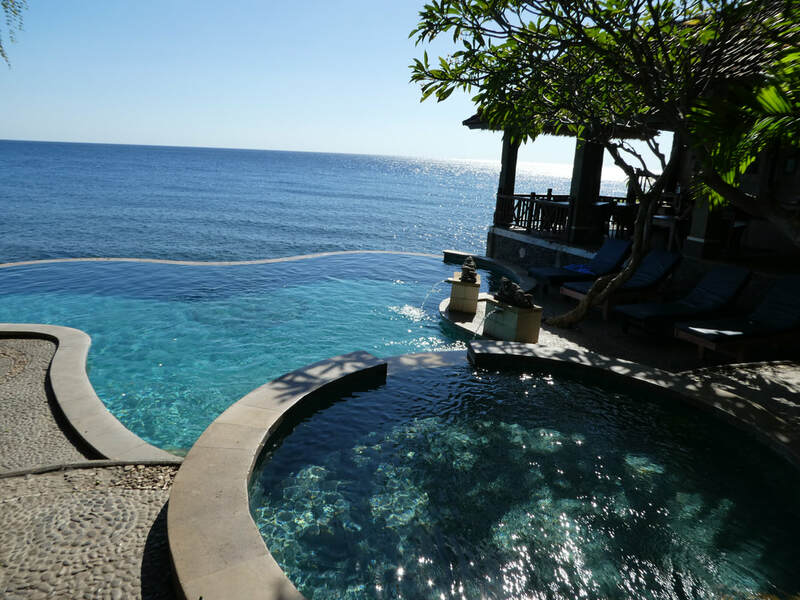 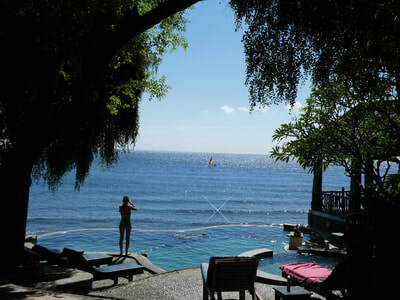 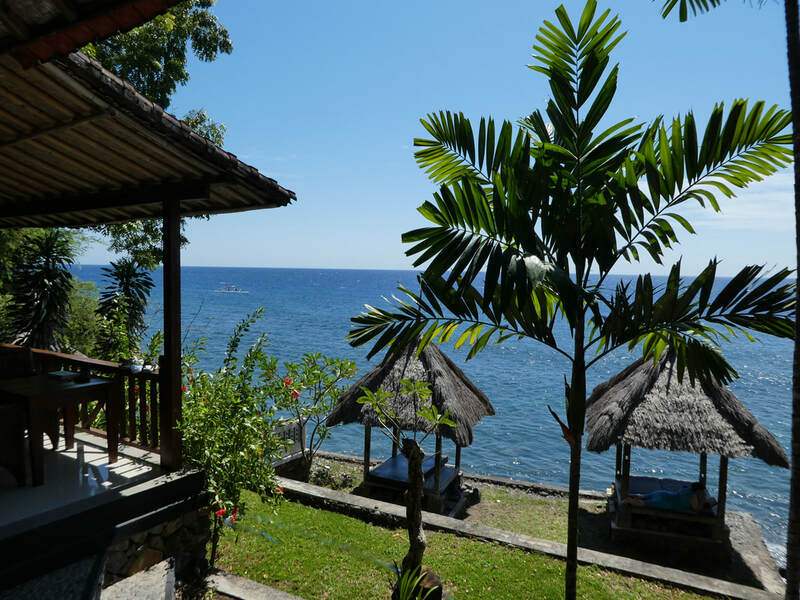 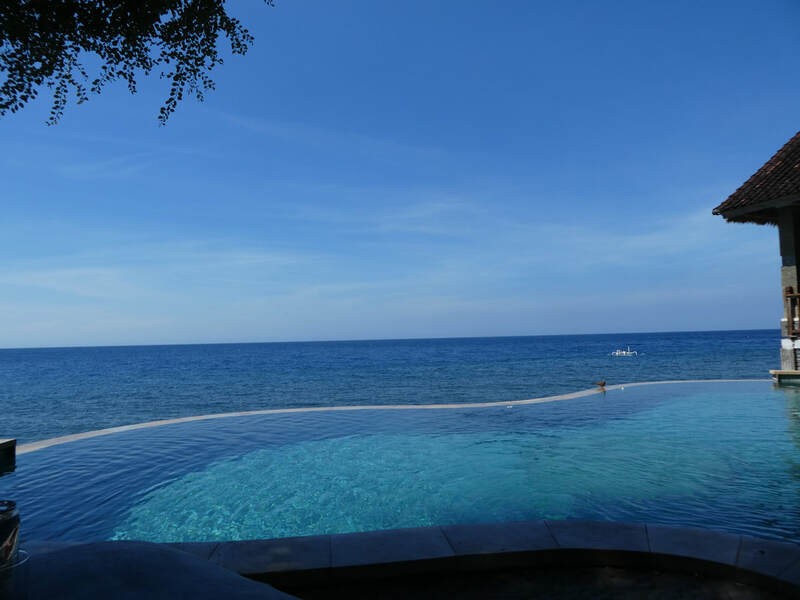 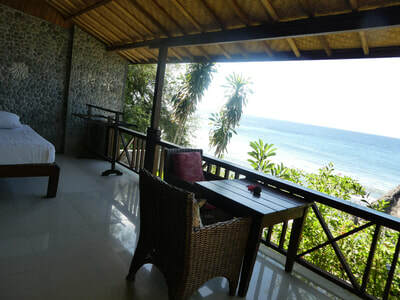 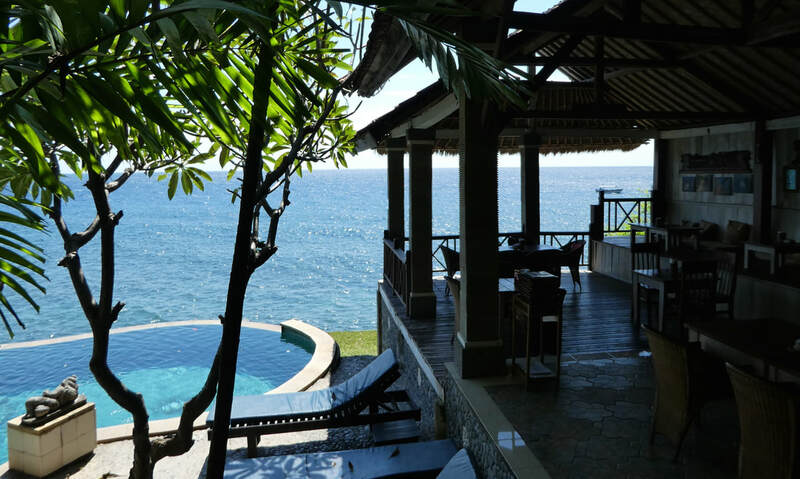 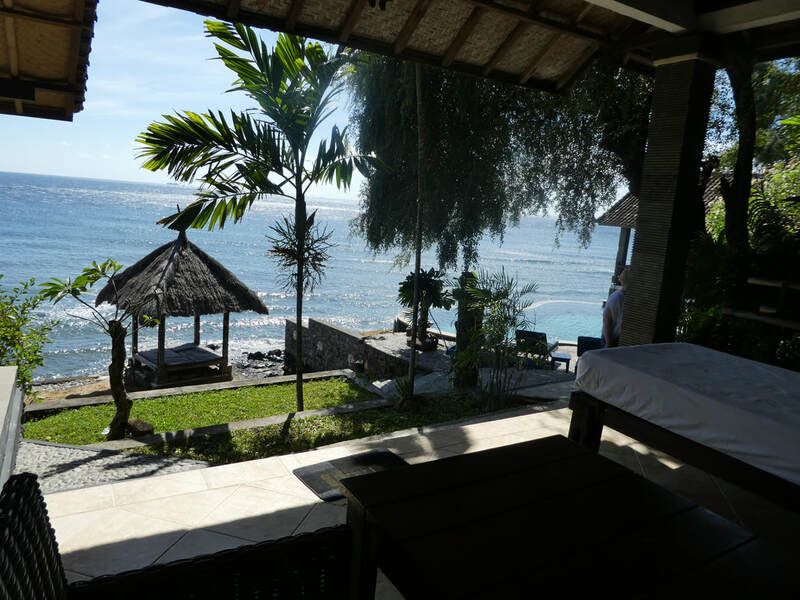 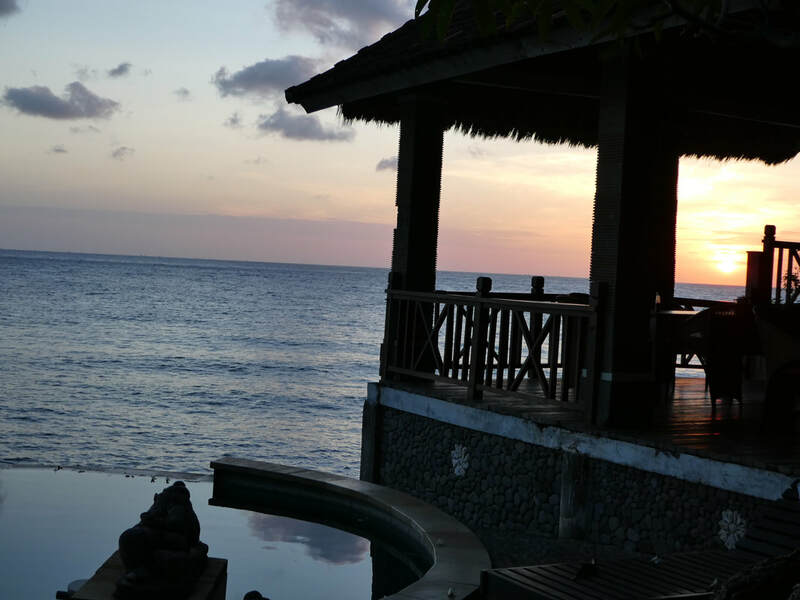 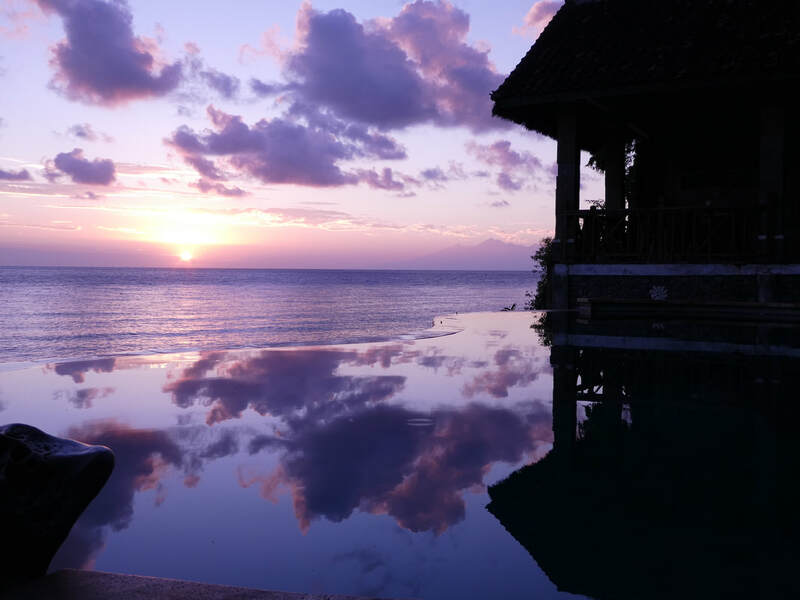 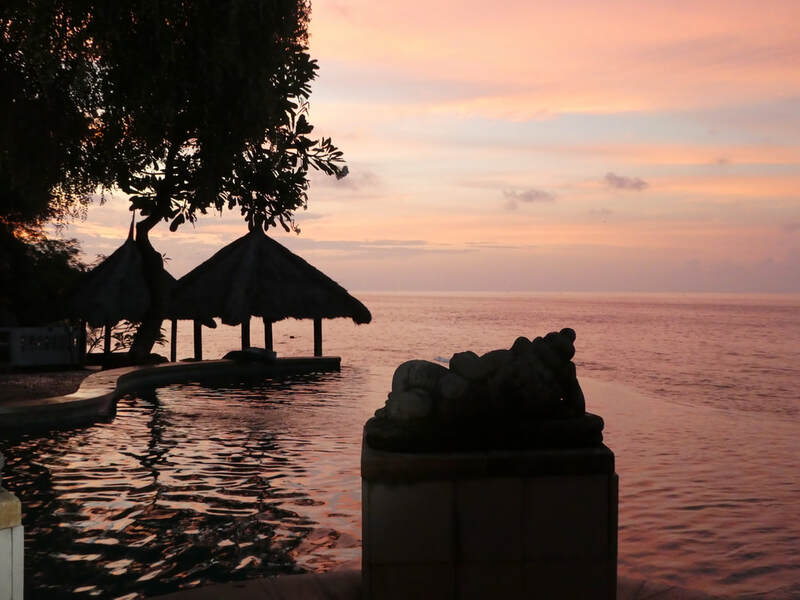 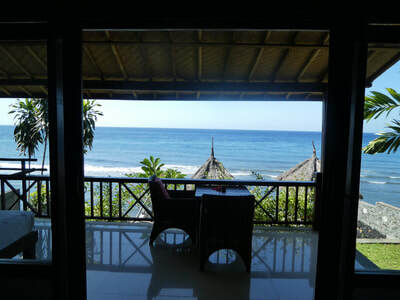 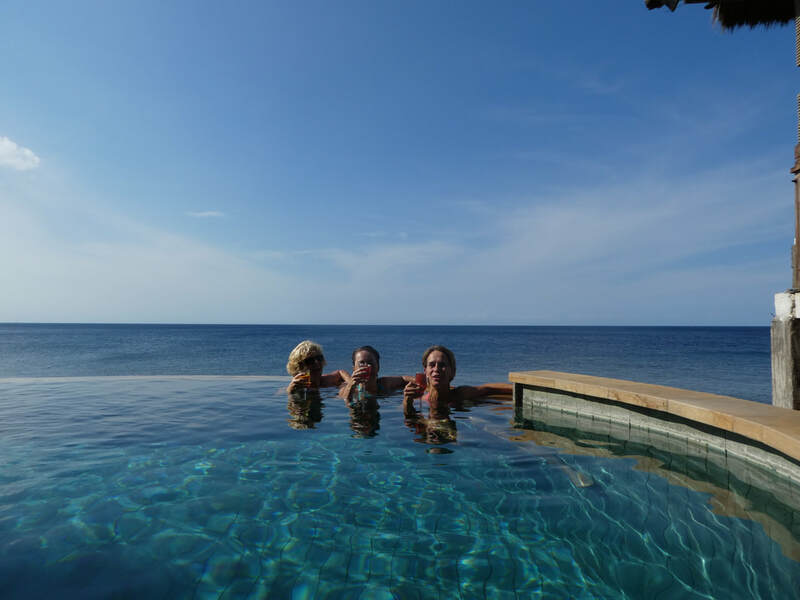 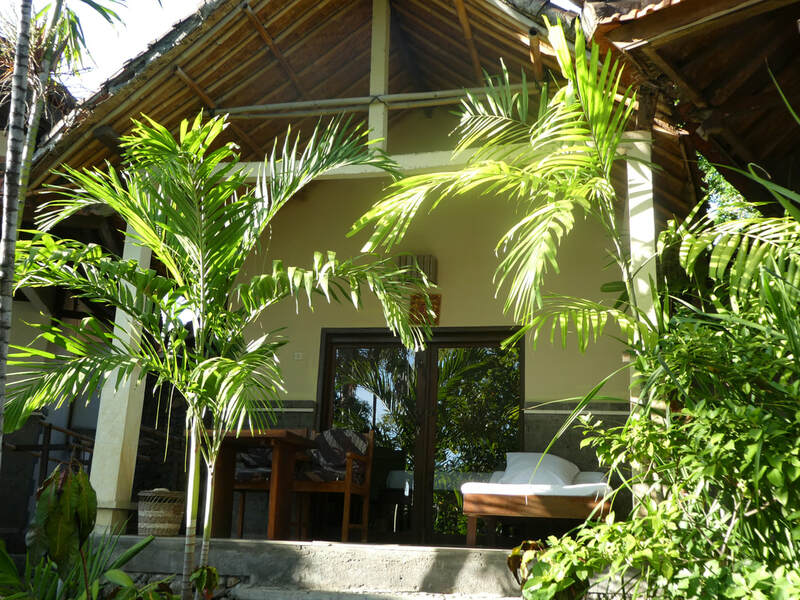 Wawawewe II Villas is a mini tropical paradise, with a hamlet of 11 Villas, all set in a lush garden, creating privacy, natural shade and a sea breeze to your own personal veranda and around the infinity pool, which merges with the sea beyond. 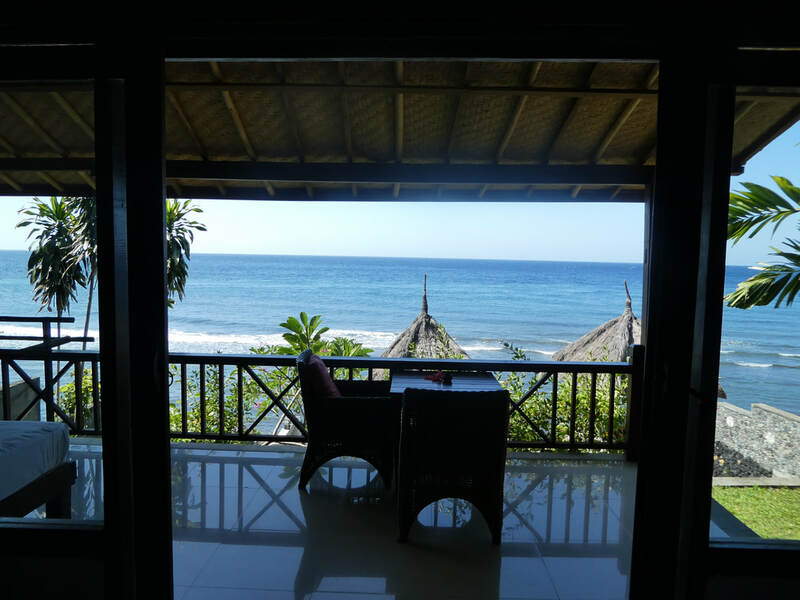 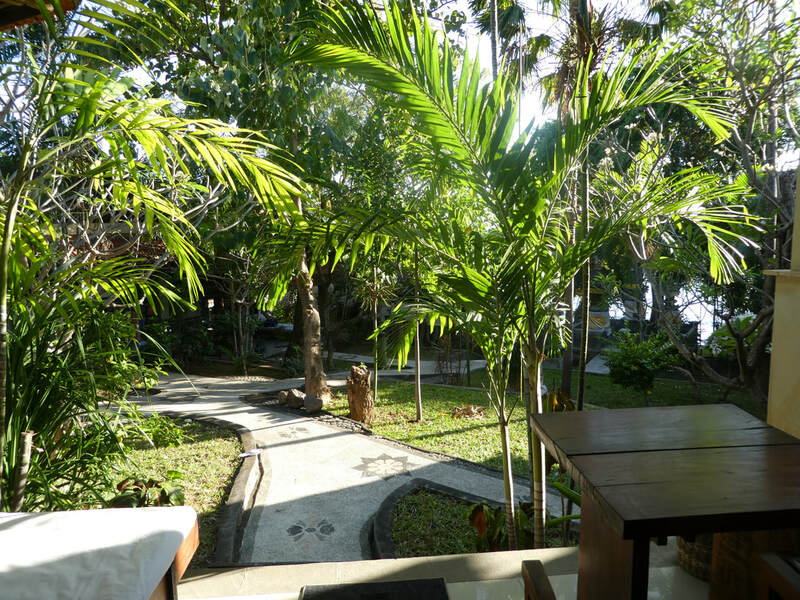 All rooms have either an ocean, pool or/and garden views, but all are only steps away from your room. 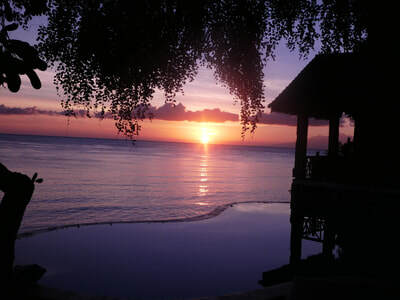 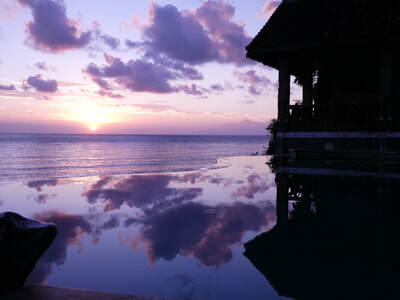 Sun Rise is spectacular, with Lombok, fishing boats and often dolphins cruising by. 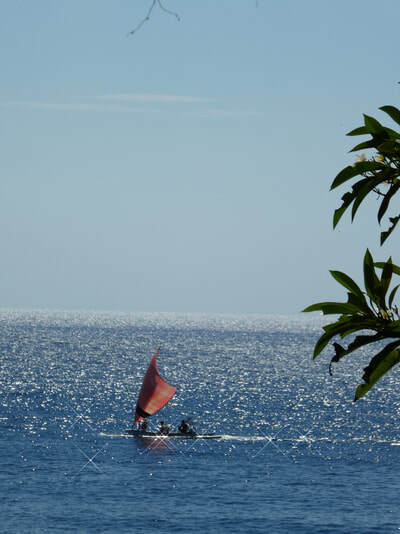 Snorkel directly from our beach, an early morning fishing boat trip is a must, or try diving with Wawawewe Dive. Light spacious rooms have king size beds. In the family/friends rooms, there is a mezzanine with two further single beds. 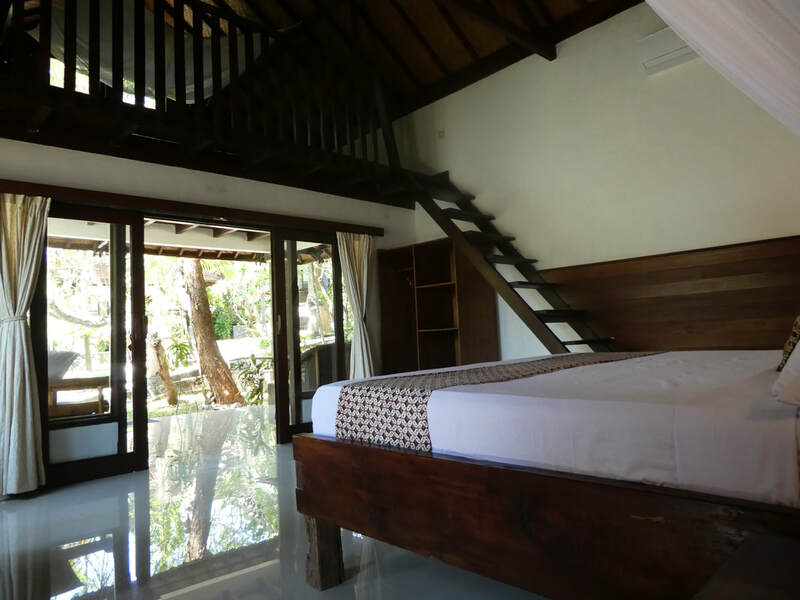 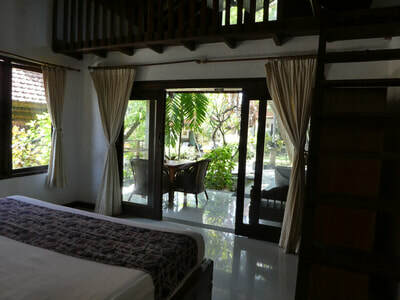 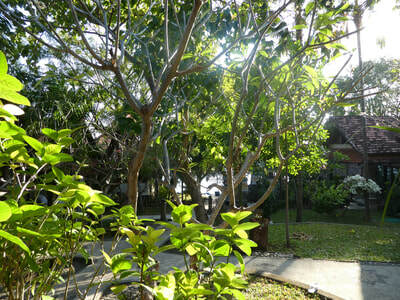 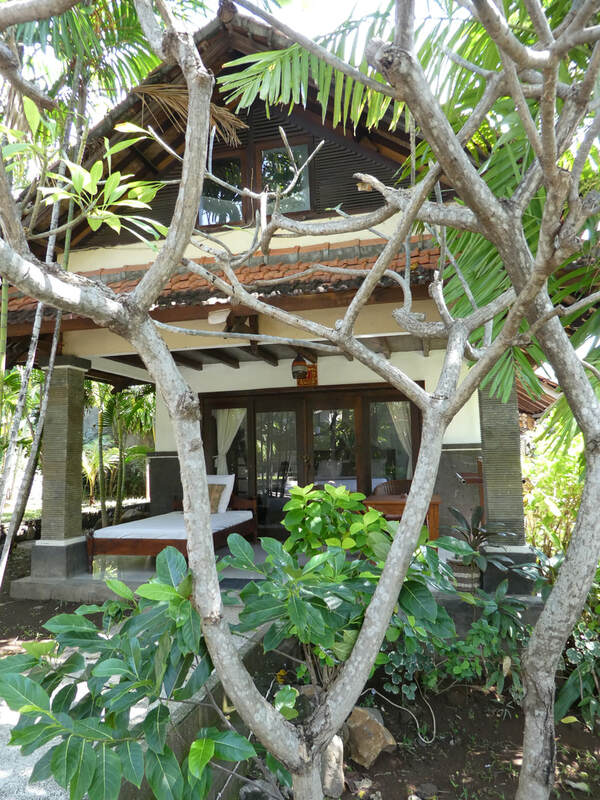 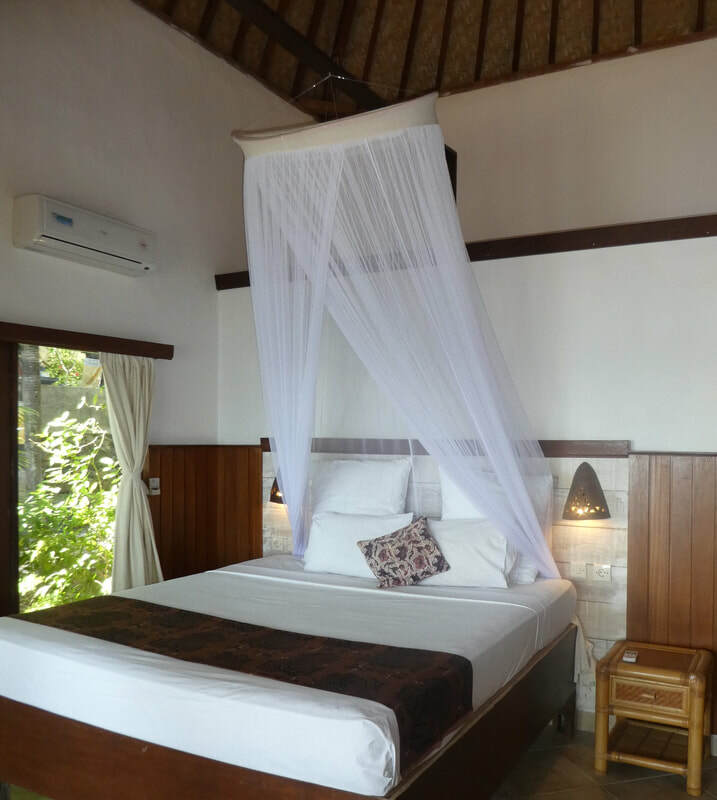 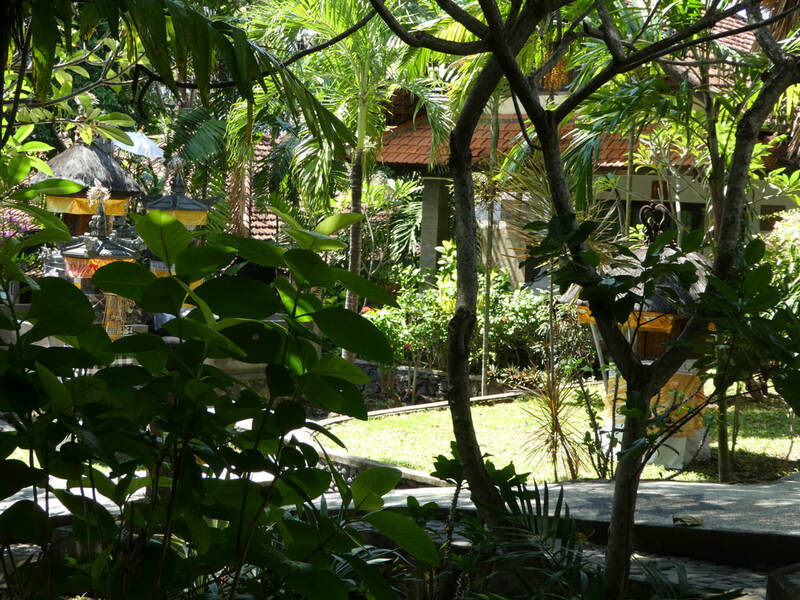 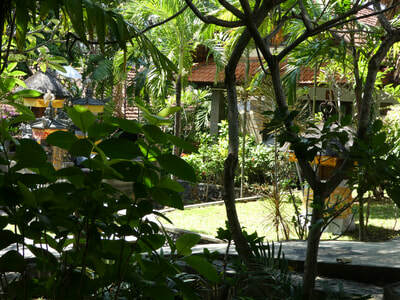 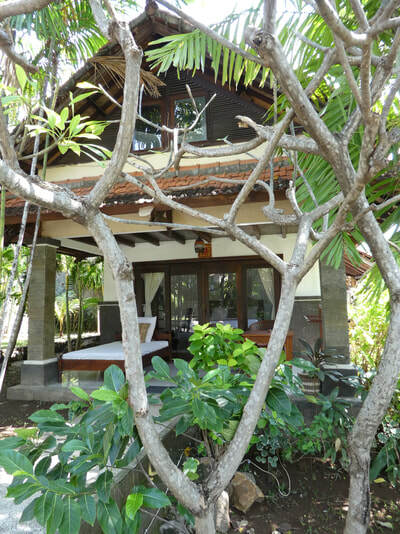 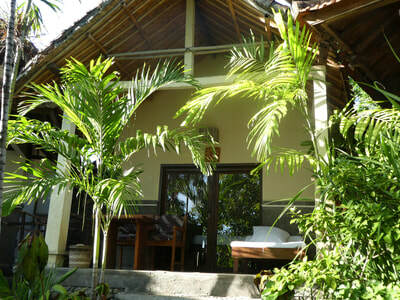 All Villas have mosquito nets and AC, open garden bathrooms and hot showers. 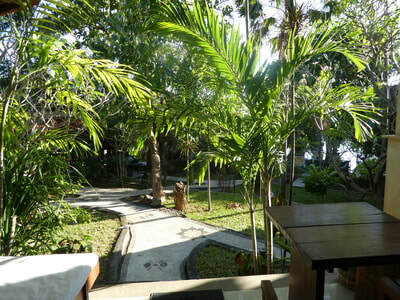 The verandas have day beds, table and chairs. 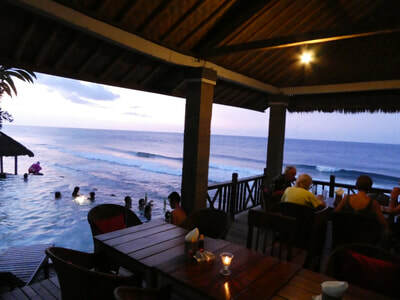 ​The restaurant is by the pool and looks out to the sea. 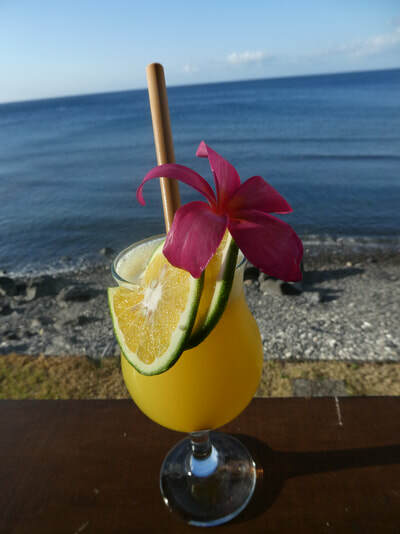 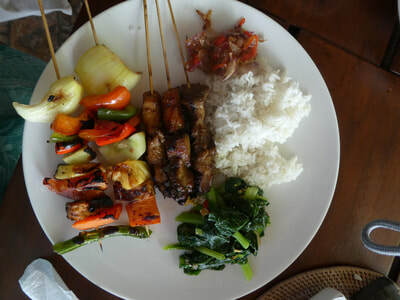 Serving freshly cooked food to order, from local ingredients, fresh catch of the day, vegetarian, children menu, BBQ, Balinese buffet, snacks, salads, tropical juices and cocktails, chilled wine and beer a must at sunset. 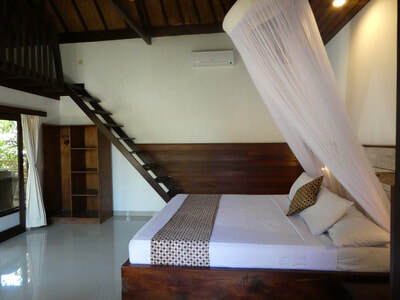 All rooms include tax and breakfast. 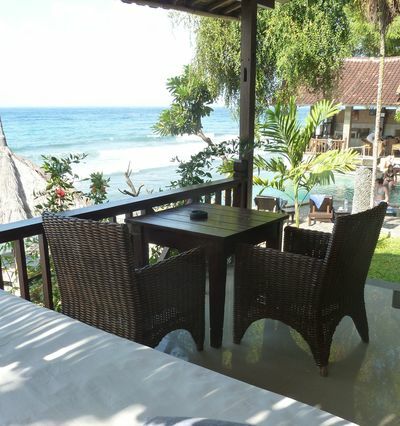 ​Breakfast is served anytime from 7.30am! 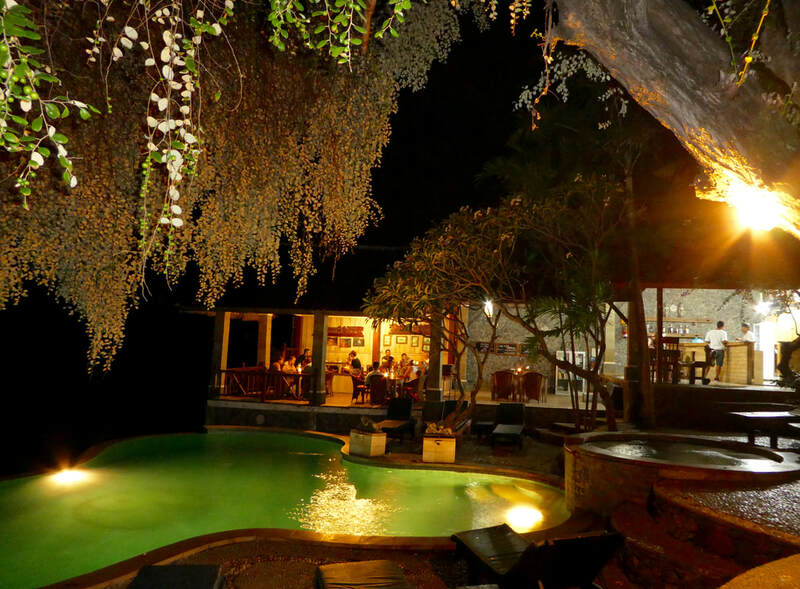 ​This is Wawawewe so we have -Flexible check in and out times, please check with our staff.